It takes time to become an excellent chef, and Hiroshi Horikawa has been honing his skills for a lifetime. Hiroshi started training as a sushi chef in Japan at age 15, and has operated restaurants in the U.S. for decades. Today, he and his wife, Eriko, own Esoji Teppan Steak & Seafood Sushi Bar in Prescott, where they offer a wide range of delicious and beautifully prepared Japanese dishes. 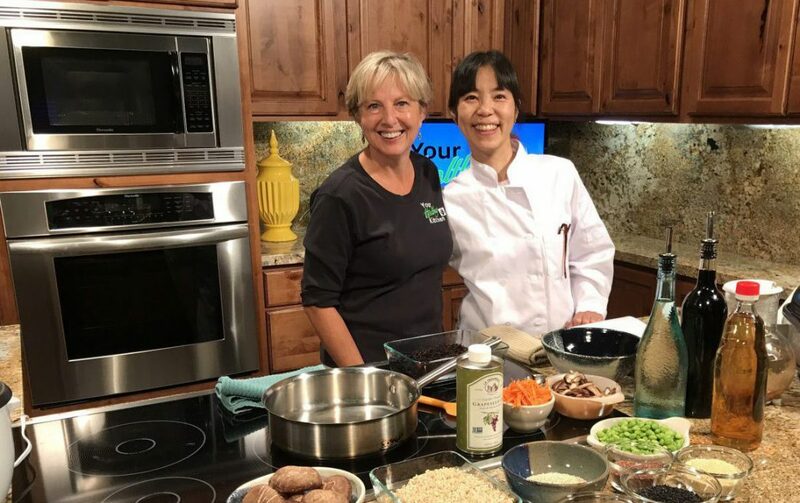 Eriko was a recent guest on the set of YRMC’s Your Healthy Kitchen, where she shared some culinary tips and secrets, plus a few easy recipes using hijiki, a delicious, nutrient-packed vegetable from the sea. Sea vegetables, with their rich flavor and deep, sea green color, are an important staple in traditional Japanese cuisine. Many different types of sea vegetables are used, including hijiki, wakame, kombu, and nori, the seaweed wrap integral to sushi. Sea vegetables are one of the best sources of iodine, a nutrient essential to proper thyroid function, and soluble fiber, which lowers cholesterol and sugar levels in the blood. They are also packed with potassium, which is one of the key nutrients identified in the DASH Study (Dietary Approaches to Stop Hypertension) for lowering and maintaining healthy blood pressure. Other nutrients commonly found in sea vegetables include vitamins C, E, and B12, an essential nutrient rarely found in plant-based foods. Sea vegetables lend a uniquely rich, savory flavor called ‘umami’ to Japanese dishes. Umami is known as the ‘fifth taste’, following the familiar flavors of sour, sweet, salty and spicy. Other foods that lend luscious umami flavor to dishes in include tomatoes, mushrooms, soy sauce, aged cheeses (like Parmesan), and cooked or cured meats. Hijiki belongs to a family of sea vegetables that can easily absorb arsenic from the ocean. The arsenic level in hijiki varies, and can be quite low, depending on the temperature, season, pH of the water, and harvest location. It is important to buy all sea vegetables, including hijki, from a reputable company that harvests from clean waters. Eden Foods is a good choice, as it hand-harvests from the seas surrounding Japan’s main island of Honshu, along the environmentally protected Ria-coast of Ise-Shima National Park. After harvesting, Eden Foods hijiki is boiled and dried in the traditional manner, which removes much of the arsenic in any sea vegetable. Research shows that the Japanese method of soaking hijiki in water for at least 30 minutes before using effectively also removes arsenic, especially if the soaking water is warm; around 140º F. After soaking, throw away the liquid and rinse the hijiki well before preparing any dish. At Esoji, the Horikawas use wakame to make a refreshing, cold seaweed salad, and they wrap tender rice, fish and vegetables with nori to make sushi. Bits of wakame also add depth, flavor and color to their delicious miso soup. Kombu is an essential ingredient in dashi, a simple stock that’s used to gently flavor soups, stews, salads, omelets and even rice. Hijiki is one of the most versatile sea vegetables. Eriko shows how easy it is to use hijiki at home in this video, where she combines it with richly flavored shitake mushrooms, crunchy sweet carrots and tender edamame, a type of green soybean that is rich in fiber and protein. Watch Japanese Cooking with Eriko Horikawa, Owner of Esoji Japanese Restaurant on YouTube. I read this article and found it very interesting, thought it might be something for you. 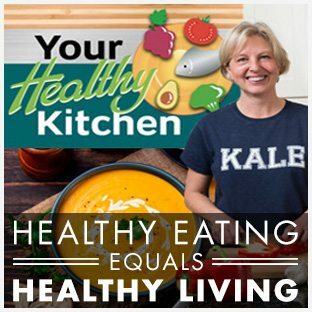 The article is called YRMC’s Your Healthy Kitchen Travels to Japan! 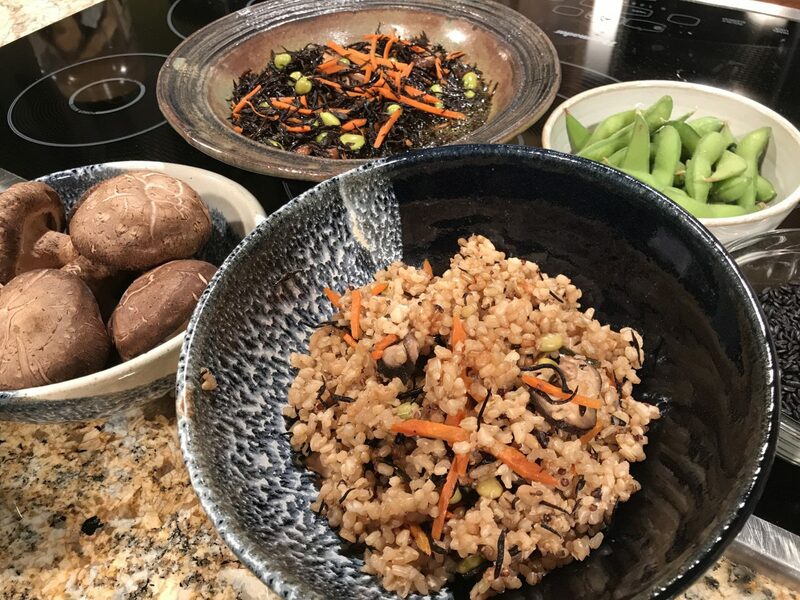 and is located at https://yrmchealthconnect.org/yrmcs-your-healthy-kitchen-travels-to-japan/.